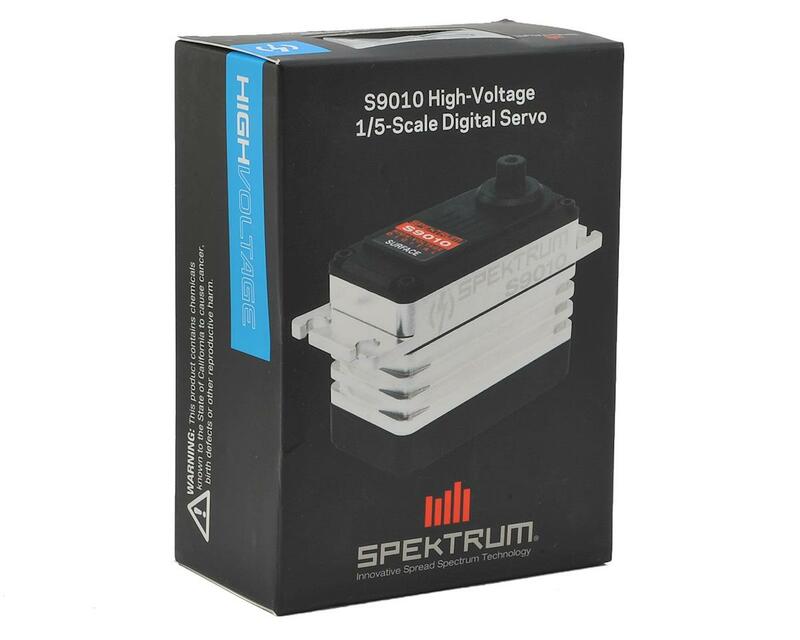 The Spektrum S9010 1/5 Scale servo represents a new era in large scale servos. This servo will completely change the performance of your 1/5-scale vehicle. 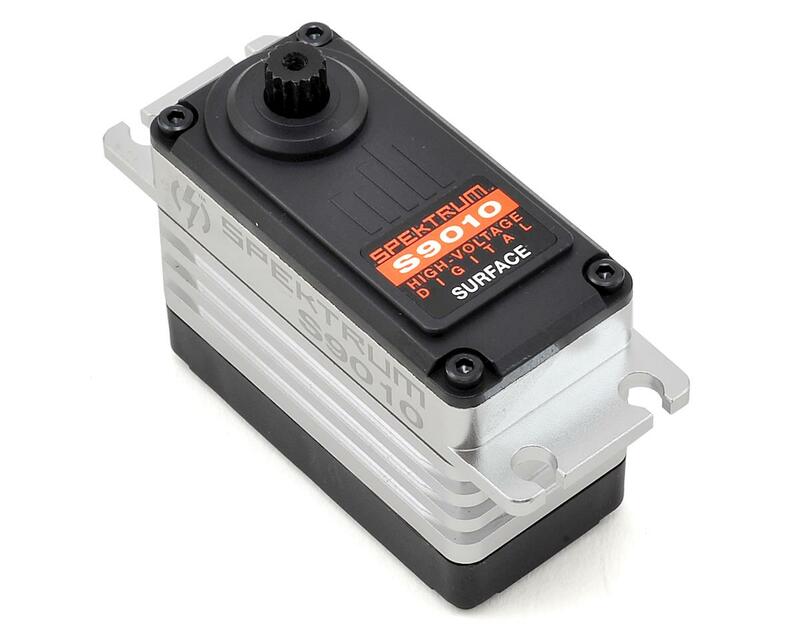 The S9010 incorporates features not found in any other servo. Starting with patent-pending Back EMF technology, drivers no longer have to be concerned with servo fade after just a few minutes of run time and inferior holding power. The S9010 HV servo maintains optimum performance levels throughout the entire run while providing speed and torque ratings that put it in the ranks of servos that cost twice as much. Dynamic breaking technology assures the vehicle maintains the heading demanded thanks to the servos brute level of holding power. 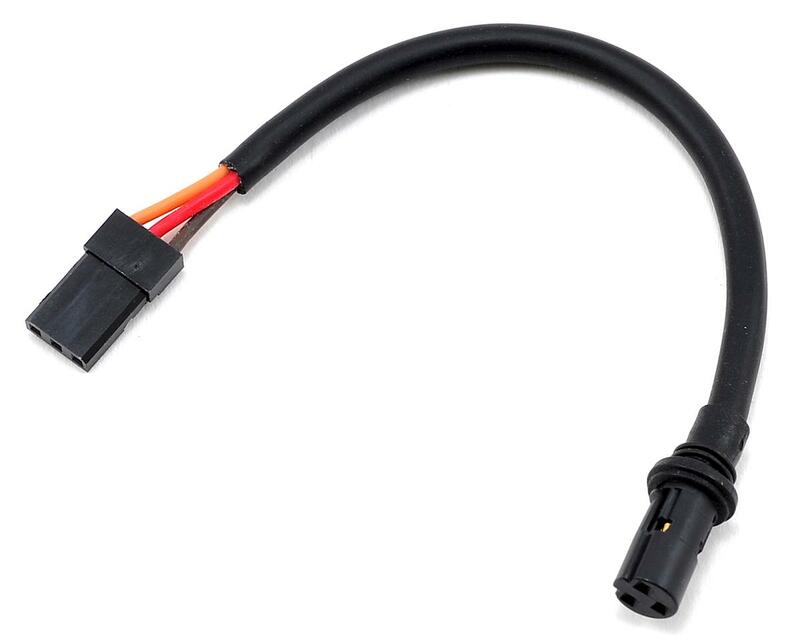 An improved integrator design virtually eliminates the crowbar effect while keeping the servo temps low through even the most grueling of runs. Using Back EMF technology, position lock exponentially improves the servos ability to keep its position while greatly increasing holding power. In addition, the S9020 offers virtually zero servo fade, no matter how much is thrown at them. 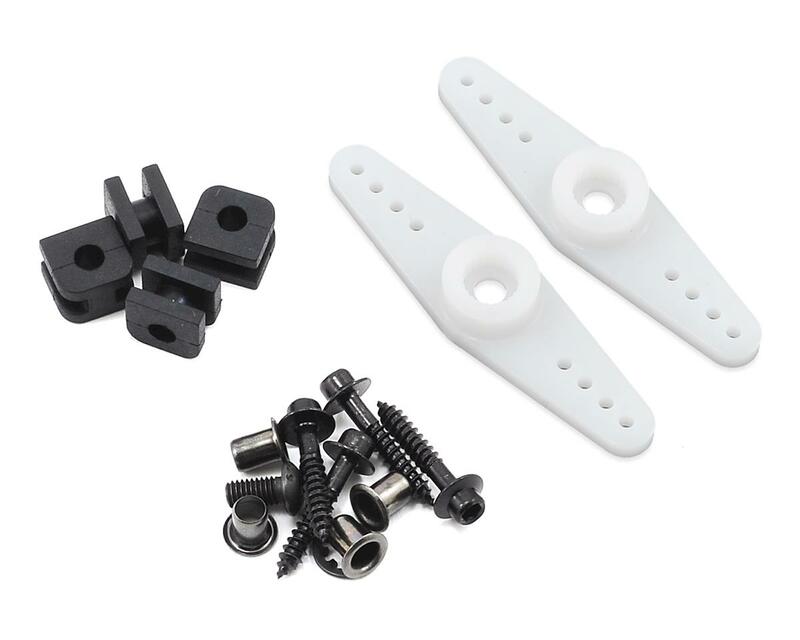 Forget about doubling up on expensive and heavy dual servo mounts. The S9020 won’t fade under any condition.